Dr. William C. Dement, a professor at the Stanford Center for Sleep Sciences and Medicine, is considered the father of sleep medicine. In answer to my questions, he spoke about his early interest in sleep studies, the scientists who inspired him and how the study of sleep has evolved over half a century. Here is a transcript of our conversation. What led you to found the Stanford Sleep Disorders Clinic? Before I came to Stanford, I was a research fellow at Mount Sinai Hospital in New York City and worked with patients who had narcolepsy. After I went to Stanford, in 1963, I discovered that doctors were not recognizing this illness, so I put a little want ad in the San Francisco Chronicle asking people who had symptoms suggesting narcolepsy to contact me. I got about 100 responses, at least 50 of which were patients with undiagnosed narcolepsy. I started a narcolepsy clinic in 1964 to study and treat the illness, but I had to close it a year later as unpaid patient bills piled up. It was gratifying to participate in patient care, so I had that lingering desire. When I first started researching, you could say all you had to do to get a grant from the National Institutes of Health was sneeze. But it had become quite difficult with peer review and everyone looking for a reason to reject a grant. I had a large staff and needed additional income to pay their salaries. I thought that a clinic would produce a major source of revenue, since I was aware of the high prevalence of complaints of insomnia among the population. I couldn’t have been more wrong! Insomniacs were not referred to our clinics by their physicians. Anyway, in the early days of the Stanford Sleep Clinic, we were lucky to get five referrals a week. I accepted any invitation to speak at medical or public lectures so that I could publicize the clinic. After about a year it began to take off. 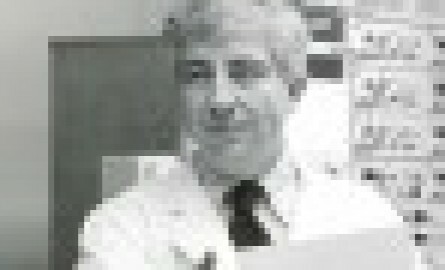 I opened the Stanford Sleep Disorders Clinic in the summer of 1970 with a press conference –and only one reporter came! The reporter asked me, “Do you recommend children sleeping with their parents?” It was controversial at that time, but I said that if a child is upset at night, I see no harm in the child sleeping in bed with the parents. I got a call shortly after from ABC asking me if I was “the doctor who recommends communal sleeping.” I said, “What are you talking about?” It was a big deal at the time. How did the focus shift to sleep apnea? Obstructive sleep apnea (OSA) is one of the most serious and one of the most prevalent sleep disorders, and it was described for the first time in 1965 in Europe. But it was completely ignored by American pulmonologists. Rather than getting patient complaints of insomnia, we started getting patients who complained of excessive daytime sleepiness. Because we were aware of this European discovery, we were able to study patients’ breathing, which had not been done prior to this. Lo and behold, they had sleep apnea. One of our OSA patients who was a 5-year-old boy — he was sleeping in school, totally failing in kindergarten, and snoring very loudly. My colleague Christian Guilleminault and I became aware of the boy’s condition and presented the case to pediatricians. The only treatment at that time was a tracheotomy, when an incision is made in the windpipe. The pediatricians were very hesitant but finally agreed. After the boy received the tracheotomy, we saw tremendous benefits. He suddenly became a good student in school. Sleep apnea is a major issue to take care of; it can’t be neglected. Two 40-year-old men refused the tracheotomy treatment, and within months both had died of heart disease. In 1981 Collin Sullivan, a physician in Sydney, Australia, invented the CPAP (continuous positive airway pressure) machine, a very effective treatment for OSA. It was miraculous. I have actually nominated him for a Nobel Prize twice, and I hope he gets it someday, because he deserves it. What was the turning point when we started to pay attention to sleep on a large scale? I made an enormous effort to get other people to start sleep clinics. My medical school classmate Elliot Weitzman was a professor of neurology at Albert Einstein Medical School. He visited us at Stanford and was impressed with what we were doing in the clinic. He went back to Montefiore and started the world’s second sleep disorders clinic. In 1975 there were five sleep disorder clinics in the U.S. I started the American Academy of Sleep Medicine, which was called the Association of Sleep Disorder Centers at the time. We tried to get more publicity and awareness. After we all began diagnosing and treating patients, it became obvious that the most important sleep disorder would be OSA, which was very dangerous if allowed to go untreated. I did a telephone follow-up study 10 years later of patients who refused the early tracheostmy treatment, and every patient who refused treatment for OSA had died of OSA complications. OSA eventually had an extremely high prevalence (24 percent of adult males, 9 percent of adult female) and that was what stimulated a lot of people to start clinics. How did you become interested in studying sleep? I chose the University of Chicago for medical school. At that time I was interested in aerospace medicine, but I had no solid idea of what I wanted to do for a career. Fatefully, the University of Chicago had on faculty the only man on the planet studying human sleep, Nathaniel Kleitman. I developed an interest in the problem of consciousness, and I thought if we could know what stops functioning when we fall asleep, those functions might be the basis of consciousness and wakefulness. That is what made me interested in sleep. After a lecture from Professor Kleitman, I knocked on his door and asked if I could work with him. He put me to work helping a graduate student named Eugene Aserinsky. How you were able to link REM sleep with dreaming? The electroencephalogram (EEG) had just become widely available, and we had one of the very first devices. In the course of looking at brain waves, there would be strange artifacts in the recordings, and we didn’t know where they came from. My first assignment, which was extraordinarily tedious, was to sit by the bed of someone who was sleeping and see if the subject was making any movement when these artifacts appeared in the EEG tracing. At some point I looked at the face and noticed the eyes were moving and twitching. I thought it was a wink! But the EEG said the subject was sleeping, so Aserinsky and I dug deeper: Whenever the artifacts were present, I would turn on a flashlight and determine whether the eyes were moving or not. We finally realized that the eyeball movements were causing these artifacts. Professor Kleitman hypothesized that maybe these eye movements were related to dreaming. In our next study we awakened subjects when we observed eye movements and asked them, “Were you just dreaming then?” The dream recall was extremely significantly higher when eye movements were present than when they were not present. One funny thing was that Professor Kleitman was a little prudish: He didn’t allow me to study women. Finally I had to get a chaperone. He wasn’t that keen about a woman spending the night with me in the laboratory! What interesting things have you found about dreaming? It is still a bit controversial, but I believe the eye movements are related to the content of the dream. In a dream about a tennis match, you would likely see the eyes moving back and forth as they would as if you were actually watching a tennis match. In a dream about something dropping from the sky, your eye movements would be vertical. I believe that I was the first one to report REM sleep in animals. The first animal was a cat. After that, everyone around the world started studying animals — zebras, elephants, mice. It is safe to say that every mammal experiences REM sleep, but only monkeys have some sign they might be dreaming. My favorite analogy is that only after REM was discovered, it became obvious that sleep was much more complicated than previously realized. The thought was that sleep was like pulling the car in the garage and turning off the ignition: no activity, no energy. I like the analogy that sleep is more like you park the car in the garage and put in the clutch and the motor keeps running. Finally, I have found it almost miraculous that the “dream world” we live in for approximately two hours every night is perceived as real. The miraculous part is that the brain creates this real world in the absence of all sensory input plus the absence of kinesthetic feedback. If the time we spend in REM sleep is able to be drastically extended, we would truly be spending our lives in two entirely different worlds. Previous article Is It Bedtime for Benzos? Next article What Is Lucid Dreaming, and How Does It Work?